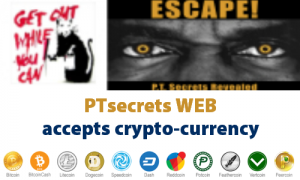 INSTANT "LEGAL RESIDENCE ABROAD” - SECURE YOUR OWN FREEDOM, PRIVACY & WEALTH the PT Way! That spending serious money is not necessary! 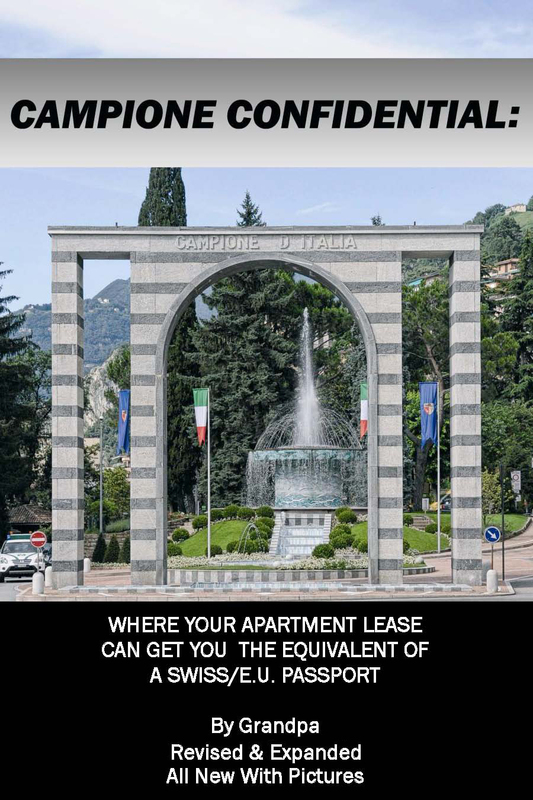 Are peddling $500,000+ residences and economic citizenships these days! IMO they are grossly overpriced, and not worth having. With over 50 years in the biz, no one questions our “Grandpa’s” superior knowledge & expertise. 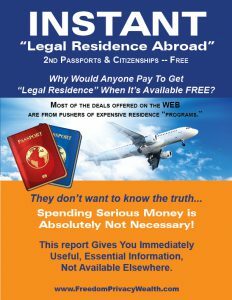 “Grandpa” is arguably The World’s Leading, #1 Expert on Residency, 2nd Passports, Renunciation and acquiring new Citizenship. He is the author of Bye Bye Big Brother, acclaimed as the 2nd most influential & inspiring book of the 20th Century. Who was 1st? You guess it! Ayn Rand with Atlas Shrugged. 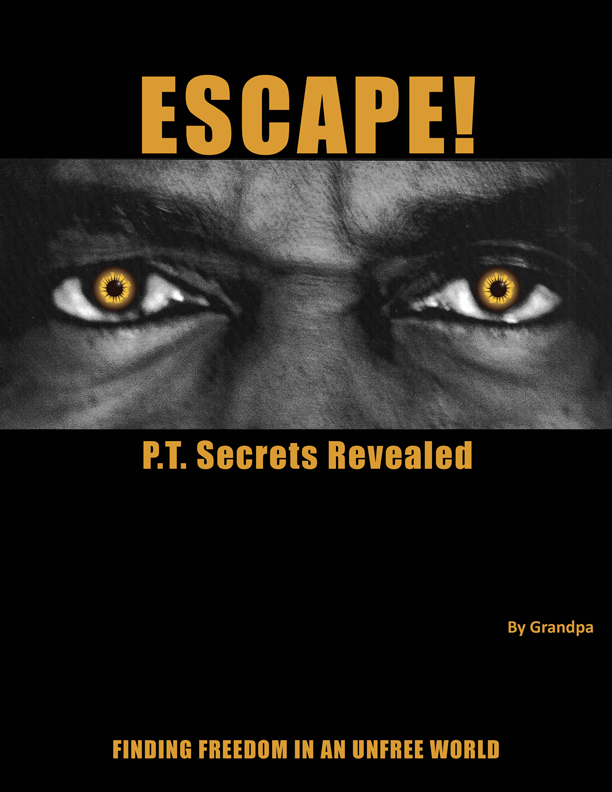 With Asyn’s passing, Grandpa is currently the World‘s #1 Best-Selling author of Freedom & Privacy, P.T. Style. 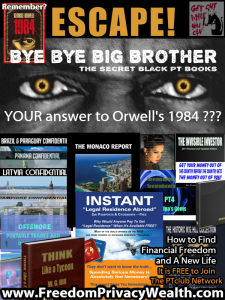 He is also great at Wealth Preservation and the Author of two dozen books on these subjects. 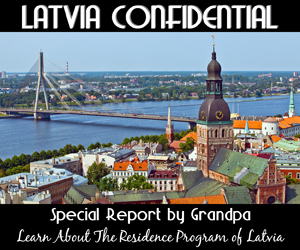 In places like Latvia, you can get instant EU residence for a small €75,000 investment in five €15,000 apartments that will bring you up to a 100% annual return on your money. 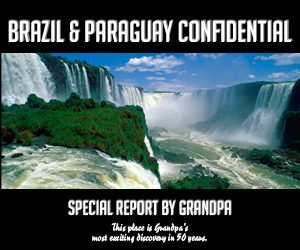 All explained in this exciting new “Grandpa” report. 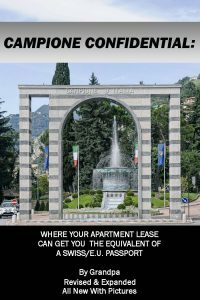 In places like Campione, you can get residence and the equivalent of a Swiss and an Italian passport, plus free or cheap medical insurance, for the price of renting a cheap studio apartment.